My true passion in life is baseball. I love everything about it, and have as far back as I can remember. I enjoy all sports, watching and participating in them, but, baseball has always been first and foremost. I think the reason why, is because it hasn’t really changed. If you were to take Babe Ruth, or Tris Speaker and put them in the majors today, they would be able to go right out on the field and play. The timeless beauty of this sport allows one to escape and ponder how a player like Lou Gehrig would do against a C.C. Sabathia, or how “The Heater from Van Meter,” Bob Feller would pitch to Ichiro Suzuki. The match ups are endless, each one more fascinating than the next. “This is a simple game: You throw the ball, you hit the ball, you catch the ball. You got it! The first game my dad took me to I was probably 10 years old, it was a sunny summer day, we sat in the bleachers at Milwaukee County Stadium, he took me down to the railing where I got Angel’s outfielder Rick Miller’s autograph, what a thrill! My dad and I have shared numerous games together throughout the years, we sat in the Section O of the bleachers next to the bullpen for the 1982 A.L. playoffs, and World Series. Somehow we found ourselves at the stadium every May for my birthday. In the year of “the streak” (1987) we went to 3 of those first 13 games including number 13 at Comiskey Park. We were there for Paul Molitor’s return to Milwaukee after he left to play for Toronto, as well as the rain-soaked night the Brewers retired his number. My dad and I were there for the last game at Milwaukee County Stadium against the Reds, and now make Miller Park our home away from home. I think the greatest thing about baseball is the fact that it has given my dad and I a forum which we can bond. Even though my dad and I haven’t seen eye to eye on everything, we could always find common ground with sports, especially baseball. My dad put in forty plus hours of hard work each week, yet he still found time to play ball himself, and coach both my sister and I in the sport. I was the bat boy for his softball team, and I was reminded the other night of something I said back then. As the story goes, one of the players on my dad’s teams asked me, “what do you want to be when you grow up,” and without missing a beat I responded “play for the Brewers and if that doesn’t happen, I’ll play for the Muskego Icetronauts.” Which got some big laughs. Baseball is a sport that bridges generations, and that’s why it’s timeless beauty is considered our National Pastime. 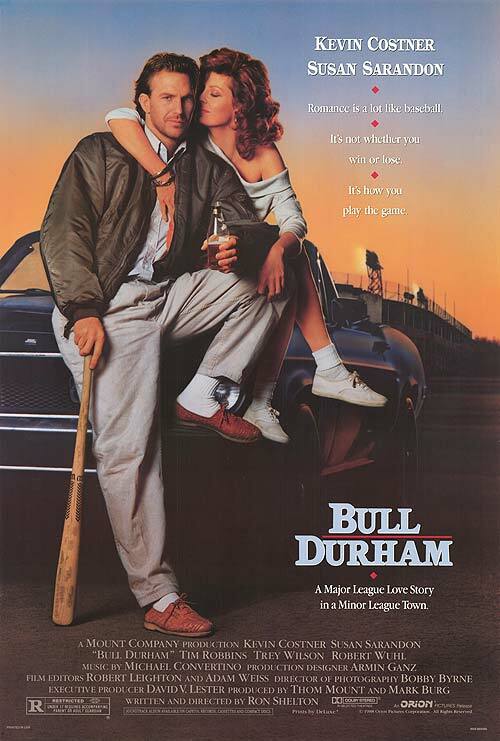 This entry was posted in sports and tagged Babe Ruth, Bull Durham, Ichiro Suzuki, Major League Baseball, Milwaukee County Stadium, Paul Molitor. Bookmark the permalink. Nice weather & a tailgate is also a bonus! Pujols is on the way down. I would go with Carlos Gonzalez; he is on the way up. Although Pujols is in a contract year, so you may be on to something.